"Hello! My team and I have been awaiting your arrival. It's important to us to share this space we created with you. You'll love it, trust me! Have fun and share this experience." Jose Maria Pedrero, Dir. 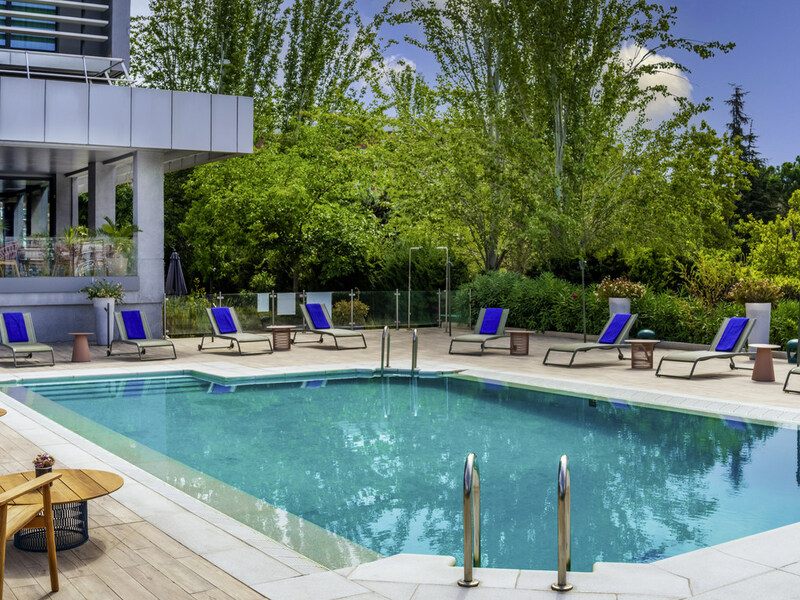 Enjoy a dynamic, lively cosmopolitan hotel located in Madrid on the Central Almond's edge, with easy access and parking. Direct bus to Puerta del Sol and nearby Metro stop. Our rooms are cozy and comfortable so you'll sleep like a log! At your disposal are more than 400m2 in meeting rooms. Let us seduce you with a gastronomic atmosphere focused on charcoal, a chameleon-like, designer multipurpose space. The hotel will remain closed for renovation from December 10th 2018 to May 27th 2019. We will be waiting for you! Mediterranean cuisine based on fresh produce and cooked right in front you. Traditional dishes presented in an original way. Enjoy a relaxing and welcoming environment at our Claravia bar, where coffee and cocktail tasting are our specialties The bar also serves continental breakfast, aperitifs, lunch and dinner.